Top 3 Most Dangerous things you can do in a yoga class! I have to say it because I see it all the time. Bad form in a power yoga class! Hundreds of people are replacing their gym memberships and Crossfit classes with a membership to a Power Yoga studio and for good reason! 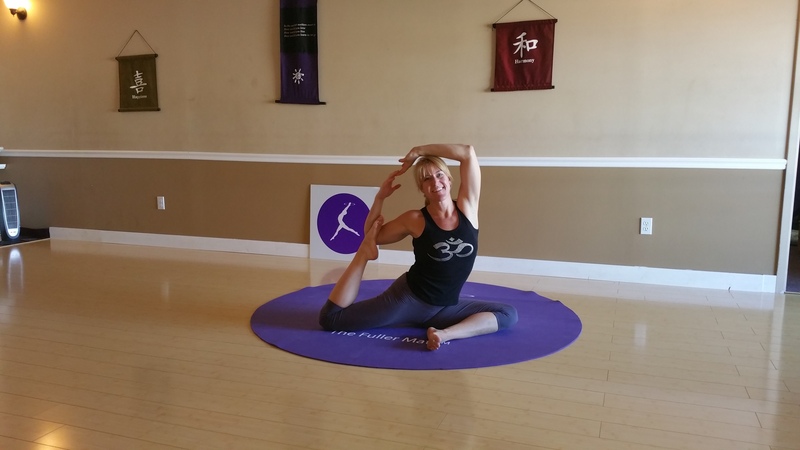 A heated power yoga class is a great workout without the joint pounding of the gym. Power yoga creates strong, long and lean muscles as oppose to big bulky and tight muscles. However, if you have bad form you are just as likely to injury yourself in yoga. Here are the top 3 most dangerous things I see people do when they start power yoga. Push yourself beyond your edge. This is not the gym. You are not in competition with anyone except maybe yourself. But if you injure yourself in the process then you have to take your next level back to zero and at that point your best will be a lot lower than your best before you went too far. The body is pliable when listened to. Stay tuned to how your body feels. Know the difference between a stretch and a pull. You will feel a stretch in the middle of the muscle and a pull will happen at the origin or insertion points of the muscle. Yoga is intended to be practiced for life not just for a two year period while your friends think it’s the in thing to do. Lesson: Less is more, don’t push! Don’t listen or Do listen to the teacher! If you are not listening to your instructor you are missing out on some great cues on how to adjust your body to make your posture and your body feel awesome. Conversely, if your instructor is inexperienced or did not get an education from a creditable source (look for RYS at the end of her name) you may want to not listen and tune into your body instead. Never go into a posture in a way that doesn’t feel good because your teacher told you to. That mentality is never a way to peace and ease in your body and goes against the first principle of yoga- Ahimsa; non-violence. Be above a workshop. Never think you know the postures and the alignment. Take workshops, try an arm balancing, inversion or back-bending workshop. You will get a lot out of focusing your time towards one aspect of the practice. 2-3 hours of arm balancing you say??? Workshops are never like a class. They are slower; they explain, practice and try new things. You will partner up with others, you will get to observe and talk about what you see and feel and most importantly you will get to ask questions. By taking a workshop every couple of months you will completely change how you practice on a weekly basis and begin to truly feel like a yogi! After 18 years of teaching and owning a yoga studio I’ve seen a lot of crazy stuff but if you adhere to not going beyond your edge, listen to yourself or your teacher depending on what is appropriate, and committing to taking at least one workshop every quarter you will be amazed at the changes in your practice, your body and your life. I learned about OM for life from my niece through a Facebook link when I was just about finished with chemo and heading into six weeks of radiation. From the moment classes began, I felt that the free yoga class was one of two extraordinary gifts most personal to me, the other being a fantastic—okay, reasonably fantastic—wig! There was no other hour of the week where I felt completely myself within a community that needed no explanation or comfort. Every class ended with a much stronger me in spirit and well-being. Regardless of the instructional level of intensity, I physically and emotionally felt on my way to better health superseding any kind of actual medication. Our instructors are women who emanate non-judgement, belief in our ability to regain strength, and compassion without pity for our plight. They have given me a sense of complete trust, hard to articulate, and peppered our classes with so much to learn and embrace. I don’t want our classes to end every Saturday. Click here for our next Free Om For Life yoga series. 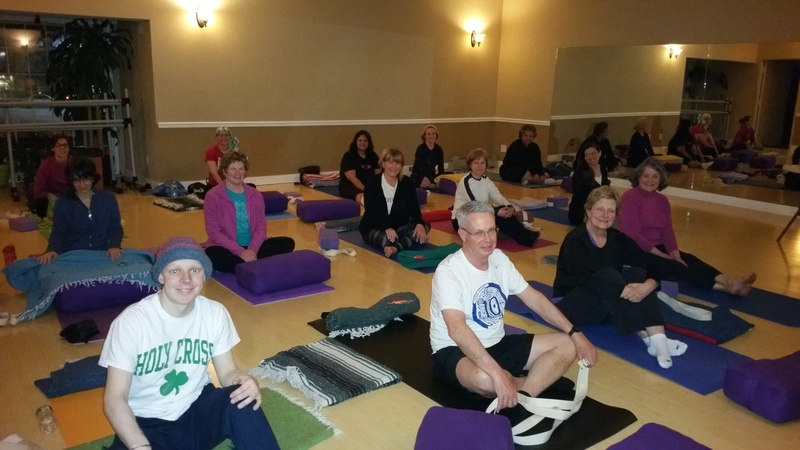 Help Fuller Yoga raise more money with @CTChallenge for programs like this!